The next time you sit on a plane and watch the movie or you put your feet up at home and stream a video, it’s not a time to feel guilty that you are taking a break. In fact, you can have a wonderful time learning about management and organisations. And when you sit with your children or grandchildren in front of Alice in Wonderland or Oliver! or Finding Nemo, what a splendid opportunity you have to look at the leadership style of the Red Queen, who has everyone so terrified because they are in fear of losing their heads that they will do whatever it takes to survive. What a brilliant scene when the cards are painting the roses red because they planted white instead! How do we cover up our errors? In fear? What room is there for creativity when people in the organisation are in fear not only for their lives, but also for their livelihoods? 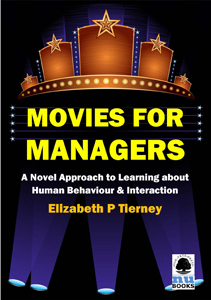 Movies and books and plays provide endless opportunities for reflection for managers. All you need to do is sit, watch, compare, contrast, analyse and perhaps apply. To improve your analytical skills and increase your awareness and sensitivity to the human condition, human behaviour and endless dilemmas, moral or otherwise, managers should experience the humanities as opportunities for endless continuing education moments.